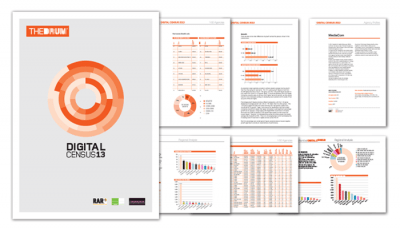 We are really proud to have made The Drum Digital Census 2013, which provides the most comprehensive review of agencies supplying digital services in the UK. The census reviews the massive growth and the key players operating in this exciting space. We are really proud to have ranked 7th in the overall client satisfaction poll and 69th overall in the financial poll out of the top 100 agencies in this sector. We were invited down to London to the breakfast announcement of the results and found the insights collected about the state of the digital sector in the UK fascinating. We are proud to part of such a dynamic and growing industry and see that it has a bright future ahead.